Comedian Slappy White was a Las Vegas performer for many years. In 1971 he created a comedy "Presidential" tour where his act was as a Vice Presidential candidate. His announcement party was held at the Moulin Rouge Hotel in Las Vegas with several of his celebrity friends present. 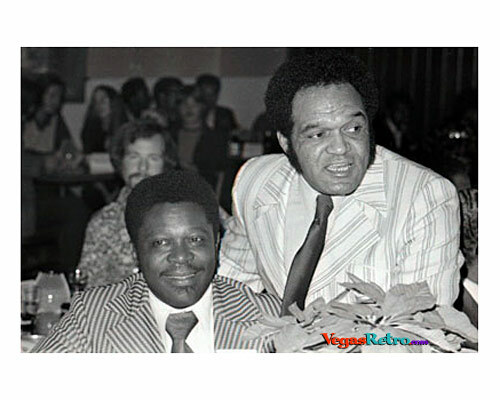 Here is Slappy White with blues man BB King photographed at the event in 1971.